Time to dig into the past again … something I have been hoping to do but never jumped in and actually accomplish. 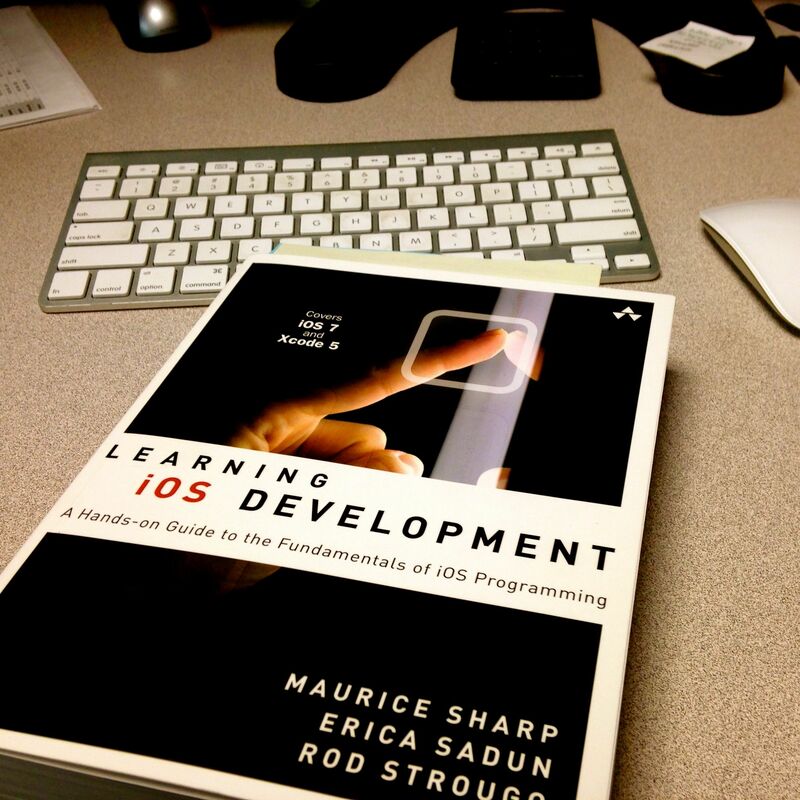 I’ll let you, the reader, search through the archives to find my failed attempts at learning iOS development/programming along with any number of other technologies. It is really a running joke in my own mind by now that I can’t follow-through with anything in this realm. I haven’t launched any products (web or otherwise) and haven’t put anything up on the App Store either. I’m back at it again, however, and I hope I can get something onto the App Store this time (no matter how small it might be). This time I have Learning iOS Development from Addison Wesley to work through along with my prior work in iOS 5/6 to get me through this and to the next level. Apple has pushed the platform ahead quite a bit with iOS 7 and there is a lot to learn. I’ve been lucky enough to watch the iOS 7 Tech Talks along with some of the WWDC 2013 sessions as well. It has worked not so much to give me an overview of the changes (which it has), but to get me pumped up and excited about development and the platform as a whole. I’m shifting my focus a little bit to some small agricultural apps to start (I hope). There are many “paper only” tasks on the farm right now and I want to be able to capture those in some useful ways along with eliminating the need to write so often for things which really are just numbers. I’ll hopefully have some more information that in the future as I continue to try to work out the specifics, but it will piggyback on the new farm entity we created (more on Martens Family Farm in the future, obviously) and the primary use will be small-to-medium farms and helping them get the most out of their work.